Jessica Federer Joins Advisory Board to Advance Cancer Cures. Stephane Richard and Jessica Federer to speak at PMLS2018. SAN DIEGO, CA – June 26, 2018 – CureMatch, Inc., a digital precision oncology company bridging the gap between legacy cancer treatments and advances in personalized medicine, announces the addition of Jessica Federer to its advisory board. 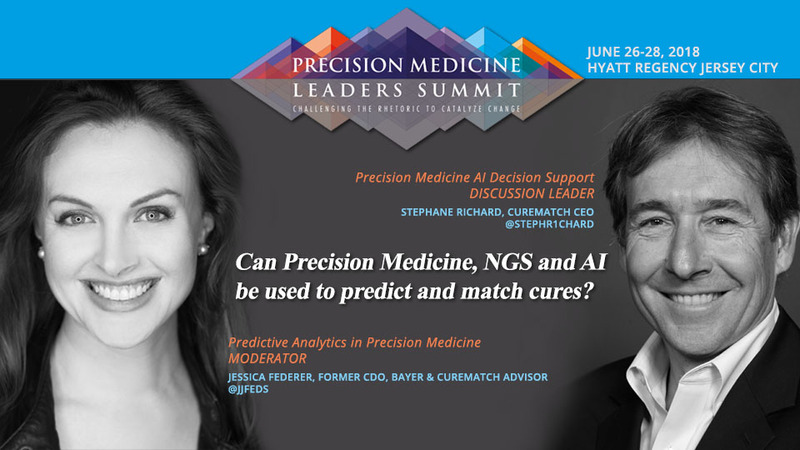 Ms. Federer along with CureMatch CEO, Stephane Richard, Ph.D., are featured at the 3rd annual Precision Medicine Leaders Summit (PMLS) in Jersey City, June 26-28. 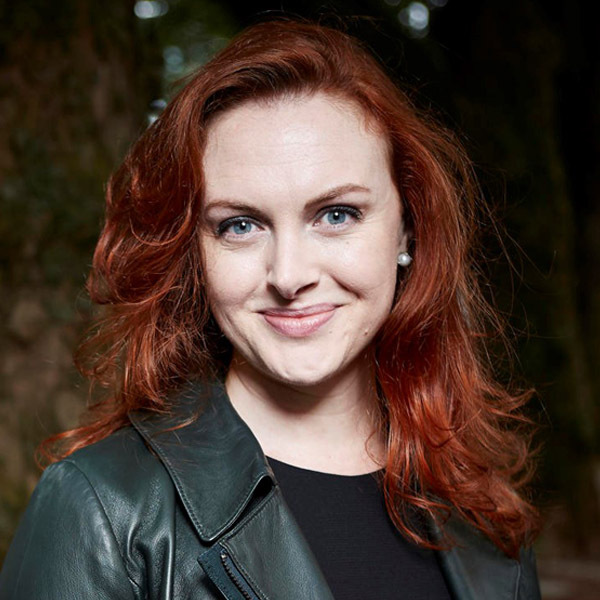 Jessica Federer was the Chief Digital Officer and worldwide head of Digital Development at Bayer, a global life sciences leader. While at Bayer, she held positions in Global Regulatory Affairs, Market Access, Communications and Public Affairs. Ms. Federer is adept at translating digital developments into meaningful advancements for business and society and is recognized as one of the top 100 global CDOs, a “Power-Lady” of the German economy, and a leading Health Tech Influencer. “Health is holistic, but traditional healthcare silos information and treatment. Eradicating diseases like cancer requires the development of disruptive technologies to bridge these silos in real and meaningful ways,” stated Jessica Federer, CureMatch Advisor. Ms. Federer is featured at PMLS, moderating ‘Predictive Analytics in Precision Medicine – Harnessing the power of RWE, NGS and Liquid Biopsies to Inform and Help Refine Patient Selection Algorithms’ on Tuesday, June 26 at 4:35. The panel will explore the data revolution in medicine and highlight evolving technologies that support diagnostic development and data generation. Next-Generation Sequencing (NGS) and Liquid Biopsies provide robust biomarkers which coupled with new data insights offer predictive analytics that focus on patient selection/monitoring. CureMatch CEO, Stephane Richard, poses the question, “How can the best possible cancer treatments be identified with such a huge amount of complicated data and knowledge to process?” To discuss solutions, Dr. Richard leads the roundtable, ‘The Use of Precision Oncology Decision Support Systems in the Clinical Practice’ at PMLS on Tuesday, June 26 at 5:30pm. CureMatch offers oncologists around the world therapeutic cancer treatment decision support. The PreciGENE® AI technology offers ranked predictions that correlate with exceptional responses. 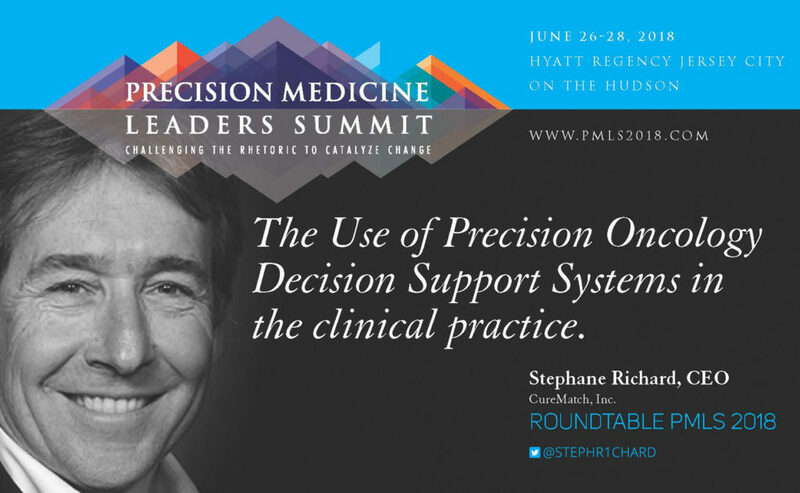 The Precision Medicine Leaders’ Summit has firmly established itself as the definitive thought leadership event within this burgeoning sphere. After two successful years in San Diego, we are bringing the conference to the friendly confines of Jersey City. With close proximity to numerous biopharma companies, academic institutions, leading medical centers, and Wall Street, the 2018 event promises to engage a diverse group of participants.